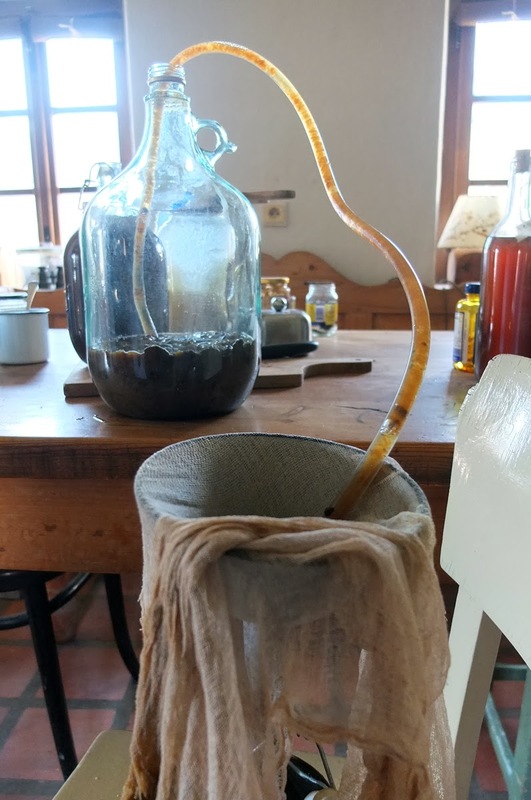 Sour sucking cider-making, sticky and now processed! When I was young I have to confess I stole a few penny priced sweets off a counter from our village shop. Egged on by a friend, the habit lasted for a few months. My sweet-tooth has lasted a lot longer. A few days ago I became an accomplice to another unforgiving crime, pulling down a helpless tree for no other concern than to stop the branches coming into contact with any high-sided vehicles. That is what our chainsaw trigger happy neighbour said anyway. When I was asked to hop a ride on his tractor to help move a tree I was expecting a fallen one that we had permission to cut. When we reached our destination there was no such thing, only a favourite young oak tree which our cats enjoyed to climb to chase the birds. Before I had time to think, the chainsaw was in full flow ripping through the base. By this point the tree had no point of return and instead of resting my hands on my head in disbelief I was being sworn at to help make sure the tree fell in the opposite direction of the road. My finger-printed evidence was now left on the bark. My poor language skills could not hide the anger inside me at this un-provoked act of vandalism to the natural surroundings. I walked off dis-gruntled. To add to the shame, the broken tree became our issue as shockingly our neighbour did not want the wood. Dusting off my chainsaw, a different me came back and sliced the tree down to manageable pieces for both Jana and I to drag back to the cottage later under the cover of a moonlit night sky and out of sight of the Forester's eyes. My sweetshop skills had not deserted me.